Nothing new to say about Normandy this week as we have kept in London for the Olympics. France, of course, is a great Olympic country: not just as a competitor and five-time host, but, as I’ve noted before, because the modern Olympics exist in large part thanks to a Frenchman. What a privilege to have world-class sport on our doorstep. A few weeks ago I lamented not being in Normandy when the Tour de France passed through. This weekend, we are lucky enough to have both the men’s and women’s road races pass minutes from our home, on their outbound and return journeys. Cycling is one of France’s great sports, both for professional athletes and for the general population. You can barely step out of Les Iris on a sunny Sunday without a cycling club in their bright lycra speeding past along the Route des Chaumieres. Each one says hello. Oddly, I never see groups of female road cyclists. 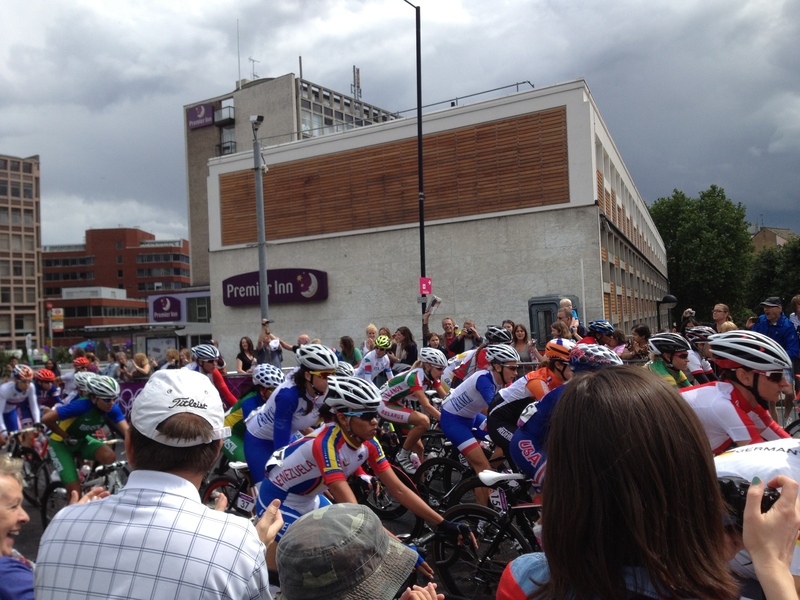 France has three cyclists entered into the women’s road race today. And here they are, 12 minutes into today’s road race in their blue and white outfits, crossing Putney Bridge in west London. Bon chance!